Bojana is the President of Hunton Andrews Kurth LLP's Centre for Information Policy Leadership (CIPL), a preeminent global privacy and security policy think tank located in Washington, DC and London. Bojana brings more than 20 years of experience and deep knowledge of global data privacy and cybersecurity law, compliance and policy. She has a proven industry record in designing strategy, and building and managing data privacy compliance programs. Bojana was recently elected to participate in a new transatlantic initiative, the “Privacy Bridge Project,” that seeks to develop practical solutions to bridge the gap between European and US privacy regimes. She joins a distinguished group of approximately 20 privacy experts from the EU and US. Prior to joining CIPL, Bojana served for 12 years as the Global Director of Data Privacy at Accenture. In this position, she built and managed a global data privacy team and was responsible for Accenture’s data privacy strategy and compliance programs worldwide, with respect to internal operations, and the company’s technology, outsourcing and consulting services. Prior to joining Accenture, Bojana worked for eight years as Principal Consultant with Privacy Laws & Business on data protection consulting and auditing projects for private and public sector clients in the UK and abroad. 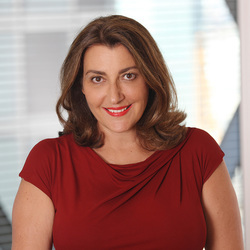 Bojana was a Board member of the International Association of Privacy Professionals (IAPP) from 2008-2013, and was elected Chair from 2011-2012. She sits on the Advisory Board of the International Data Privacy Law Journal, participates in many industry groups and is a regular speaker at international privacy and data security conferences. Hands-on-business experience addressing issues on big data and analytics, cybersecurity, implementing accountability and compliance programs, cross-border data transfers, interoperability of conflicting national legal requirements, changing role of corporate data privacy officers and government use of private-sector data. Working with corporate leaders on developing effective accountability-based governance programs and addressing other information policy challenges for organizations in managing and protecting personal data in today’s information age. Designed and implemented a comprehensive and effective global data privacy corporate compliance program across expanding business and over 50 geographies. Developed strategies for cross-border data transfer mechanisms, including developing and obtaining the regulatory approvals for Binding Corporate Rules for data privacy from European data privacy regulators. Advised on effective data privacy governance issues, including providing guidance on compliance, risk and information security functions. Performed privacy impact assessments and gap analyses against legislative requirements and industry best practices to ensure programs and strategies remain current to the changing legal landscape. Designed and delivered sustainable, innovative and engaging training and awareness campaigns, collaborating and leveraging other compliance, risk and information security functions. Managed formal and informal interactions with data privacy commissioners and regulators.